Andrew Bent (1790–1851), printer, publisher and editor, arrived under sentence in Hobart in 1812. 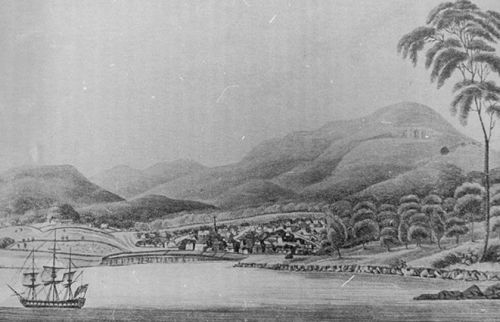 He became government printer in 1815, and in 1816 began the semi-official Hobart Town Gazette and Southern Reporter, which he bought outright in 1824, declaring the freedom of the press. Lt-Governor Arthur was so offended by some Gazette articles that Bent was convicted of libel and imprisoned several times. His government work was withdrawn and a new official paper pirated the Gazette's title. Bent renamed his the Colonial Times. Further reading: ADB 1; E Morris Miller, Pressmen and governors, Sydney, 1952.